P2. T. Rhodes and V. Vikas, "Planar Shape Changing Compliant Tensegrity Mechanisms with Multi-Stable Equilibria", IROS 2018 Workshop on Shape Changing Robotic Structures and Interfaces, Oct 2018 [POSTER]. P1. 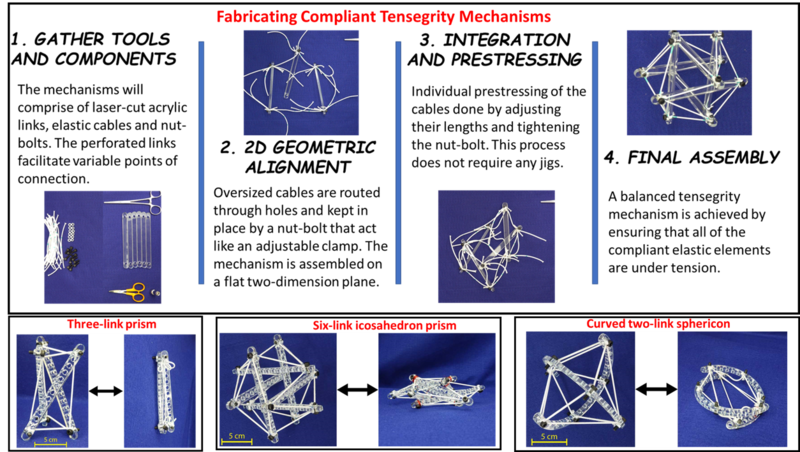 M. Tanouye and V. Vikas, “Static and stability analysis of a planar tensegrity mechanism”, ASME International Design Engineering Technical Conference, Aug 2018 [Link].